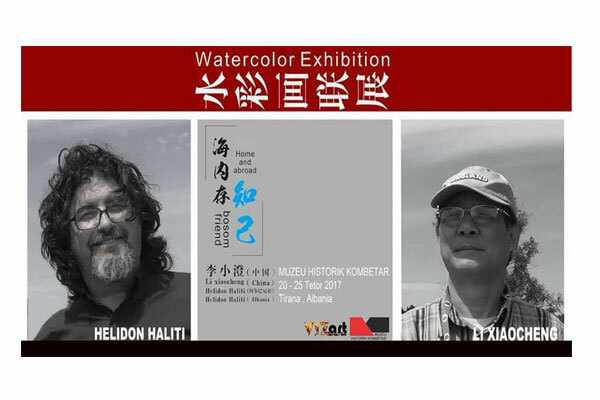 The Albanian artist Helidon Haliti and renowned Chinese painter Li Xiaocheng come together at an exhibition in Tirana. In the premises of the National Museum, will be presented 80 paintings in watercolor of two masters where art lovers will have the opportunity to get know closely the landscapes of the Far East. The "Home and Abroad" exhibition will remain open until October 25th.